Use A Party Center's "Wedding Time Line" and our "Wedding Rental Check List" to make your life easier during this very busy time. 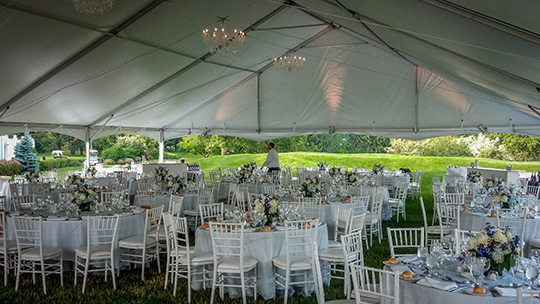 Entertain in grand style under impressive tents of all sizes. Tents can be at the counrty club, in a parking lot, or on your very own lawn any time of the year complete with heating, lighting, fans, flooring and more. Make your wedding or event more successful, memorable and convenient with to-scale computer floor planning and experienced assistance from our representatives.